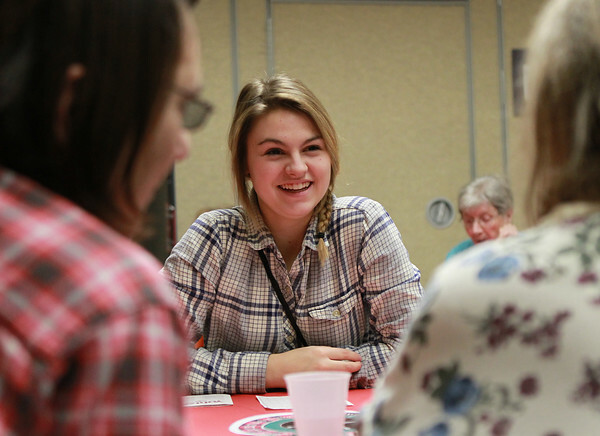 Riley Bunch, a student at Endicott College smiles while playing Yahtzee with senior citizens at the Beverly Senior Center on Board Game Night. DAVID LE/Staff Photo. 11/20/14.